President Donald Trump has underscored containing Iran’s sway as a key element in establishing a “strong and lasting footprint” in Syria as the United States moves toward bringing its Soldiers home. In pursuing this key American objective, this paper recommends that Washington take advantage of the “daylight” between Russia and Iran, and that it be American policy at all levels to work to expand it. This long-existing “daylight” was underscored in 2018 by calls in Moscow for Iran to withdraw its forces from some or all of Syria, and by Putin’s positive regard at the summit in Helsinki with President Trump for Israel’s security requirements. 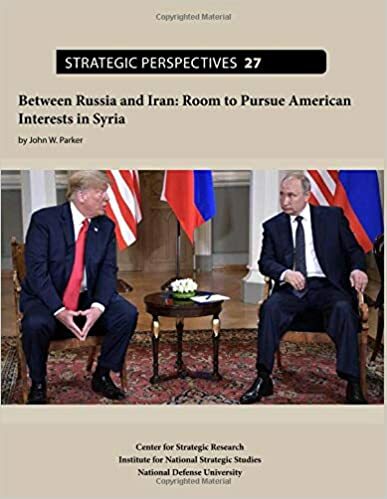 Russian acquiescence to U.S. and Israeli strikes against Iranian-associated and other forces in Syria reinforces the conclusion that backing a dominant Iran is not one of President Vladimir Putin’s priorities. However, while he will not forcefully oppose the United States and Israel constraining Tehran, Putin will resist pressure to break totally with Iran and with the proxies Iran bankrolls and trains to fight in Syria. In addition, Russia’s leverage on Iranian military and political activities in Syria is limited. Russia’s solution to its own dilemma of restraining Iranian behavior in the region has been one of addition and mediation rather than subtraction. Moscow dilutes Iranian influence by working with other powers, including those most antithetical to Iran. Russia’s relations with Israel are now arguably closer to a “strategic partnership” than those with Iran. Russia’s dealings with Saudi Arabia correspond more aptly to an “oil axis” than the “Shiite axis” description used by some to characterize the ties between Moscow and Tehran. Russia’s economic ties and diplomacy with Turkey and greenlighting of Turkish military action in Syria against Kurdish forces have also diluted Iranian leverage in Syria. America’s imposing military capabilities and veto-wielding membership in the United Nations (UN) Security Council will provide it and its allies with continuing leverage on developments in Syria. Putin ultimately will not be able to count on U.S. acceptance of any deal that leaves Bashar al-Asad in place after a transition and new elections. Such an outcome would also dash Russian hopes of significant American, European, and regional contributions to the immense costs of reconstruction that lie ahead in Syria. Russia is unlikely to link its actions with the United States in Syria to U.S. policy toward Iran on the Joint Comprehensive Plan of Action (JCPOA) nuclear deal, or to U.S. sanctions on Russia. To attain the conditions that will make possible the withdrawal of U.S. troops from Syria, the United States needs to maintain a properly resourced military presence on the ground and in Syrian airspace. Only if it does so will Russia regard the United States as the most important counterweight to Iran with which Moscow will want and will need to deal. Even after the April 13–14, 2018, U.S.-UK-French strikes on Syrian chemical weapons facilities, President Putin remained eager for talks with President Trump and addressed Syria at their summit in Helsinki. The Trump administration should therefore continue judiciously to engage Russia as the United States works toward the goals of assuring the defeat of the so-called Islamic State (IS), constraining Iran’s malign activities, bolstering Israel’s security, and deterring Syrian government use of chemical weapons, without conceding anything in advance on Asad’s future or Iran’s place in the region.